1. All titles and intellectual property rights of any information appearing on this website with the notice of “source: www..dongguantoday.com”, including (but not limited to) text information, pictures, webpage design and layout, advertisements, classification of contents, sounds, videos and software, are reserved by the Information Office of Dongguan Municipal Government and are protected by the applicable laws. Reproduction is authorized, except for commercial purposes, provided the source is fully acknowledged in the form “source: www.dongguantoday.com”, and provided written notification is given to dongguantoday@126.com for every reproduction. Where reproduction is on a website, at least one link to the www.dongguantoday.com should be provided and maintained. Otherwise, the Information Office of Dongguan Municipal Government reserves the right to take legal action for any breach or violation on this point. 2. Any information from a third party reproduced in this website will be indicated by a specific source. Any media, website or individual shall download such information for legitimate purpose only, retain the information source indicated in the website and assume the relative responsibility. 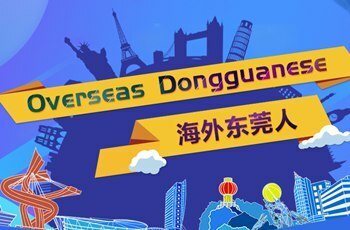 www.dongguantoday.com does not control or guarantee the accuracy, relevance, timeliness, or completeness of third-party information. We do not accept any responsibility whatsoever for such information. 3. If the right owner considers the content of the website to infringe his/her copyright, please inform our website in timely written notice. The website will delete the infringed works according to copyright law or disconnect the corresponding links. If the right owner cannot provide effective identification proof, copyright proof and proof of copyright infringement, it will be regarded as non-disagreement. The website takes no responsibility for the deletion of relative works, or inaccurate connections to links to relative works at the right owner's information. 4. The Information Office of Dongguan Municipal Government has the explanatory rights for all information in the website. 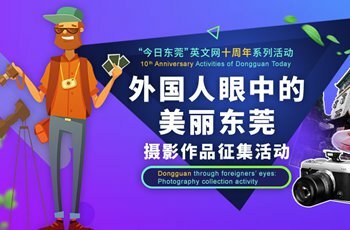 The Information Office of Dongguan Municipal Government reserves all rights to make revision to the information and files on this website (since it reserves the copyright of such information) as well as the terms, conditions and explanations herein at any time.